The Awujale of Ijebuland, Oba Sikiru Adetona, said that he fell out with former President Olusegun Obasanjo when the latter failed to address the issue of true federalism in the country as president. 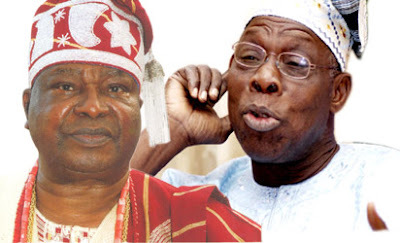 The Awujale said though Obasanjo had promised to address the issue of true federalism before the 1999 elections, but on getting to office, he did otherwise. He said, “With Obasanjo finally settled in office, I went to see him at Aso Rock in Abuja. I sought to meet with him so that we could discuss the contentious issue of true federalism in the nation and the future association of the constituents. He had talked a great deal along this line before going into office and so I never anticipated any problem with him on the matter. I urged him to provide a solid structure for the country. Obasanjo declined to call any national conference on federalism and I was very disappointed. This was the dividing line for me in our relationship. This was excerpted from Chapter 12 of the monarch’s autobiography, titled “Awujale: The Autobiography of Alaiyeluwa Oba S.K. Adetona Ogbagba II,” from pages 171 to 183. Excerpts from pages 187-195 of the book, which was published in 2010 by Mosuro Publishers, had recently gone viral for reasons unknown. In the book, Awujale accused Obasanjo of using the then Chairman of the Economic and Financial Crimes Commission, Nuhu Ribadu, to persecute billionaire businessman and founder of Globacom, Otunba Mike Adenuga. According to the monarch, Obasanjo believed Adenuga was fronting for the then Vice-President, Atiku Abubakar, and a former military dictator, Ibrahim Babangida. 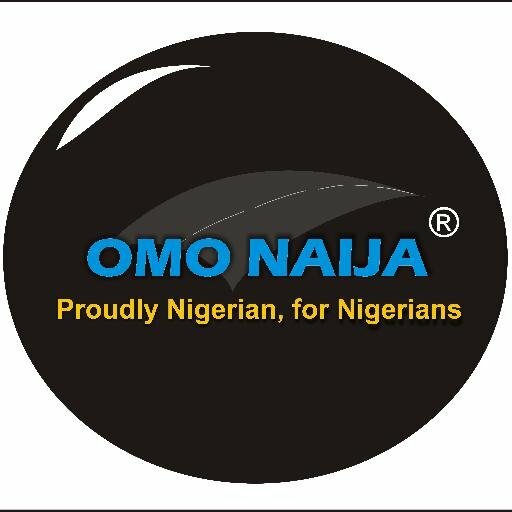 However, Obasanjo in a letter dated December 30, 2016, which was addressed to the Awujale, berated the monarch while describing him as a liar and a rumour-monger. Obasanjo said he did not expect the monarch to be objective as regards Adenuga since the billionaire was his cousin. While the controversy rages on, the traditional ruler had revealed from pages 171 to 183 of the book his role in helping Obasanjo become Nigeria’s president in 1999. He said, “The (1999) presidential election was looming and Sunday Awoniyi, on behalf of the Peoples Democratic Party, approached me to recommend a possible Yoruba candidate for them. In my opinion, the most serious problems facing the country at the time were its economic challenges. So the man I believed we needed had to be someone who had a comprehensive grasp of national economics. Adedeji is a professor of Economics and a former Executive Secretary of the Economic Commission on Africa and Under-Secretary General of the United Nations. He had served as a Minister of Economic Planning and Reconstruction in General Yakubu Gowon’s government. The Awujale said the PDP accepted Adedeji as a qualified candidate but had to reject him because he belonged to the Alliance for Democracy. “Meanwhile, Obasanjo was struggling for acceptance and to be adopted as a candidate. He had never been a politician other than the fact that he had been a former military Head of State; he had no political constituency,” he said. “He paid regular and almost daily visits to me in the “aafin” (palace) to plead with me to support his candidature. There was also pressure on me on behalf of Obasanjo from Chief S.O. Bakare and Otunba Reuben Fasawe. When no other Yoruba man emerged from the PDP, I had a discussion with Obasanjo on the travails of the country, on one of his visits. We both agreed on how good leadership alone could salvage the nation. The monarch said he also intervened when the AD started questioning the election that produced Obasanjo after its (AD) candidate, Chief Olu Falae, lost the election. Earlier in Chapter 12 of the autobiography, titled: “Political Manoeuvres”, the monarch revealed how he brokered a meeting between the PDP and the AD, which nearly ended up in a merger of the parties before negotiations broke down. He emphasised that one of the conditions he gave the PDP team, which was led by Alhaji Bamanga Tukur and Sunday Awoniyi, was that a Yoruba man must become the president if the country must experience any form of stability. The Oba recalled that he had to warn the PDP team, which was already discussing with some AD chieftains in meetings brokered by him, not to foist just any Yoruba man on the nation. In the book, Awujale also recalled how on the day Chief Abraham Adesanya, a late Afenifere chieftain, was celebrating his 80th birthday in 2002; he had told Obasanjo to his face that he was not credible. He said, “After the service, Obasanjo invited me to join him in his car on the ride to Abusi Edumare Assembly in Ijebu-Igbo where his helicopter was waiting to pick him up. It was a ride in a Mercedes limousine car and he and I were seated at the back while Governor (Olusegun) Osoba sat opposite us. “It was going to be a short trip but I had something to say and so it had to be said quickly enough while the three of us shared some privacy. “I said there was a time when I had trusted Obasanjo so much that I could swear by his name, but that the trust was now gone. However, Awujale’s autobiography did not talk much about an alleged bid by Obasanjo to spend three terms in office, but said Obasanjo avoided discussing the issue with him.